Spain, Miller, Galloway & Lee, LLC - Law Firm based in Poplar Bluff, serving all of Southeast Missouri focusing on insurance defense, personal injury, business law, family law, estates, trusts, and wills. Spain, Miller, Galloway & Lee, LLC is a preeminently rated law firm providing legal services to all of Southeast Missouri. The Firm's practice areas are focused on civil litigation, personal injury, wrongful death, insurance defense, business law and transactions, real estate, probate, and family law. Unlike many law firms that rarely or never try cases to juries, we take pride in our trial advocacy. It is what allows us to put you or your business in the best possible position to succeed. Whether your case ends by settlement or jury verdict, the assurance that we will try your case if necessary can lead to thousands of dollars difference to you and your case. Located in Poplar Bluff, Missouri, the law firm of Spain, Miller, Galloway & Lee, LLC provides legal services all over Southeast Missouri. Our firm provides the same level of service and experience found at the larger St. Louis firms without the added cost. Our focus is on resolving client issues as quickly and efficiently as possible. If a quick resolution is not possible, our attorneys are experienced trial advocates. 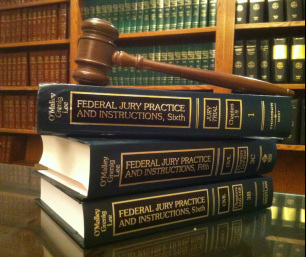 Our firm has tried cases to jury verdicts in every county in Southeast Missouri. We will use our experience and skill to give each client the greatest chance of success.